If you don’t recall, or if you’re new here, I hosted C.F. Waller, author of Free Dive, in this previous post. I am a huge fan of his work and had the privilege of editing Free Dive when Cosby Media Productions acquired it. You can grab a copy of Free Dive by clicking HERE. I actually bought a copy for my grandma for Christmas (she reads cool books, obvi). But I digress. Today’s post is about the latest and greatest release from Waller: Palindrome 656. Below is everything you need to know about this book. When a ghost ship turns up in orbit after a half decade of silence, the powers that be are going to want answers. And when you are the only person still breathing, you can expect an interrogation. Hannah, the Empire’s leading lady of counter-intelligence, is about to go head to head with the Union’s best interrogators in a life or death battle to find the answers to some seemingly simple questions. As she decides what to answer and what to leave out, none of the stories she is about to share will paint her in a positive light, but in her case, they rarely do. It’s said that the “winners” write the history books, and while the Union continues to demand answers, it seems Hannah, whose greatest victory is managing to stay alive, is the only one holding a pen. Grab your copy from Amazon by clicking HERE. Where can you connect with C.F. Waller? Charles published his first science fiction novel at age forty-seven, after a flight on an ill-fated commercial airliner over the Atlantic Ocean, that nearly became an episode of Why Planes Crash. This experience illustrated for him firsthand that writing about exotic or dangerous locales was safer than traveling to them. Since then, he likes to think his meticulous research and storytelling gives readers a clear sense of their grandeur, without the inherent risk of flying. After narrowly escaping the academic death-grip of several universities, Charles worked in nightclubs, took a turn as a new car salesman, and also as a hurricane shutter engineer. His favorite authors include Oscar Wilde, Kurt Vonnegut, Jr., and Michael Crichton. The latter being especially close to his heart, as Crichton epitomizes the techno-thriller genre and and the failure of humans to interact with technology. Though he will forever be a Midwestern boy at heart, he now lives on the gulf coast of Florida with his wife, Tina, and one fuzzy feline companion. If he’s not working on a new novel, you can find him volunteering at church, playing overly competitive Yahtzee with his spouse, or indulging in an unhealthy addiction to competitive cooking shows on television. Being a hero is not such an easy job after all. It’s junior year, and Alex and her friends are just trying to survive high school: boring homework, detention, crushes…and a fateful journey through a portal to another planet—you know, the usual. Despite being average California teenagers, this group of six finds themselves on a return trip to the strange land of Cantelia, where their Spirit Guide, Goden, has sent them. This time, they appear near the Alfaran Forest: a place, where, once again, many inhabitants claim these kids are the Chosen Ones and that they will help to find a solution for ridding the forest of a new kind of horror. Will the teens have the courage to fight the real enemy? Or will they be forever trapped on Cantelia? –>Paperback editions for Spirit Lake and The Wrong Fairy Tale will be available July 14th. By the way, if you don’t have an eReader, you can download the Kindle app for FREE for your smartphone, tablet, or computer by clicking HERE. If you missed it earlier this week, Braxton Cosby hosted a cover reveal for my second YA book, The Wrong Fairy Tale. You can check out the post by clicking HERE. It’s junior year, and Alex and her friends are just trying to survive high school: boring homework, detention, crushes…and a fateful journey through a portal to another planet—you know, the usual. Despite being average California teenagers, this group of six find themselves on a return trip to the strange land of Cantelia, where their Spirit Guide, Goden, has sent them. This time, they appear near the Alfaran Forest: a place, where, once again, many inhabitants claim these kids are the Chosen Ones and that they will help to find a solution for ridding the forest of a new kind of horror. 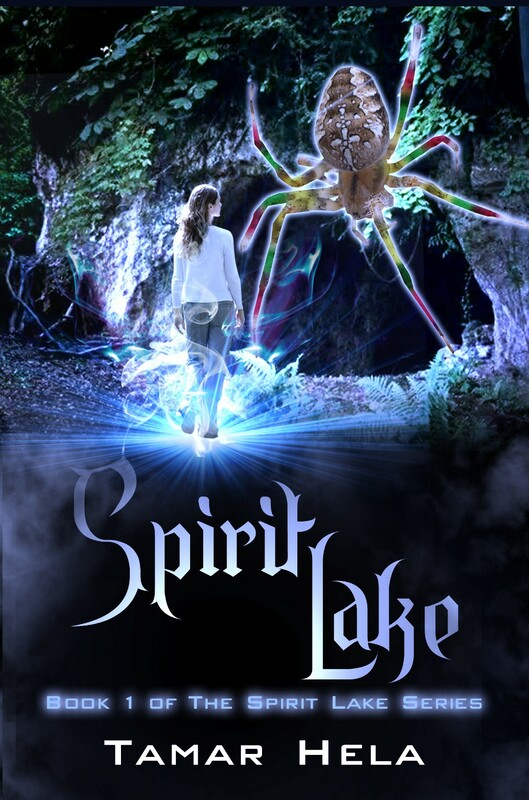 And, paperbacks for both Spirit Lake books will be released on July 14th, 2015. Yay! Just wanted to share some cool updates with ya’ll. There’s so much going on for me this month, so I’m doing my best to take one thing at a time. You ready? Here we go! If you have been hanging out at my blog for a while, you’ll notice I just did a huge overhaul of my website. Yes, I did it all by myself. 🙂 I am very proud, especially since I used a free WordPress theme, and I only spend about $45 per year on my domain + mapping it from my host (Network Solutions) to WordPress. It took me several hours to get everything just right, but I am pleased with the overall design. Hope you guys like it too! One of my YA author friends is hosting a Facebook event all day long today, and you can join the event by clicking HERE. Other authors will be “taking over” during the day, including yours truly at 3:30pm PST. We’ll have some cool giveaways, so stop by—you just might win something! I am trying to get my work “out there” even more this year, especially since my Spirit Lake series is now in the hands of my publisher, Cosby Media Productions. Something I discovered is an Except Contest, hosted by Buzz Bookstore. If I win, I will get three months of free exposure on the Buzz Bookstore site, which would be AMAZING! And speaking of getting my work “out there,” there is a special review opportunity for my debut novel, Spirit Lake! You can read my book for FREE in exchange for an honest review. To sign up to review my book (I REALLY need some reviews, too! ), click HERE. So…what’s next for me? Well, my second book, The Wrong Fairy Tale, will be out next month! Woohoo! Paperbacks for both Spirit Lake and The Wrong Fairy Tale will be available in July—exciting! I’m working on the third installment of the Spirit Lake series, titled Freak Show, which will hopefully be out later this year. I’m super stoked for this story and can’t wait to share teasers with you guys over the summer. Coming up, something exciting (I hope!) for authors/writers: an easy sign-up sheet in order to be featured on my blog. I LOVE being able to give back to the writing and reading community by featuring authors/writers and their work. I am working on a way to make things easier on me to host and on those who want to be featured on my blog. Of course, there will be some basic criteria for guest posts/features, but nothing crazy. When things are all set and sign-ups are live, I’ll make the announcement. Keep your eyes peeled for the update! If you’re looking for a professional editor, you can contact me by clicking HERE for more information or a quote. Well, that’s all for now. Hope you’re all having a fabulous week! And don’t forget to check out my latest book HERE.